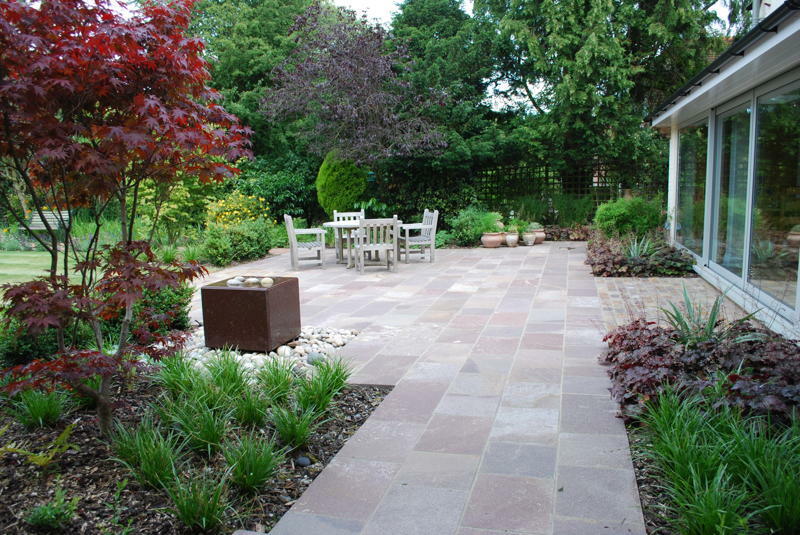 This was a simple but effective scheme that we built using ‘Porphyry’ slabs and Porphyry cobbles. 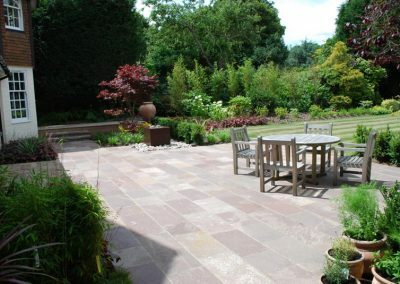 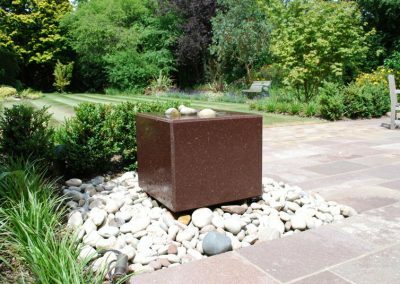 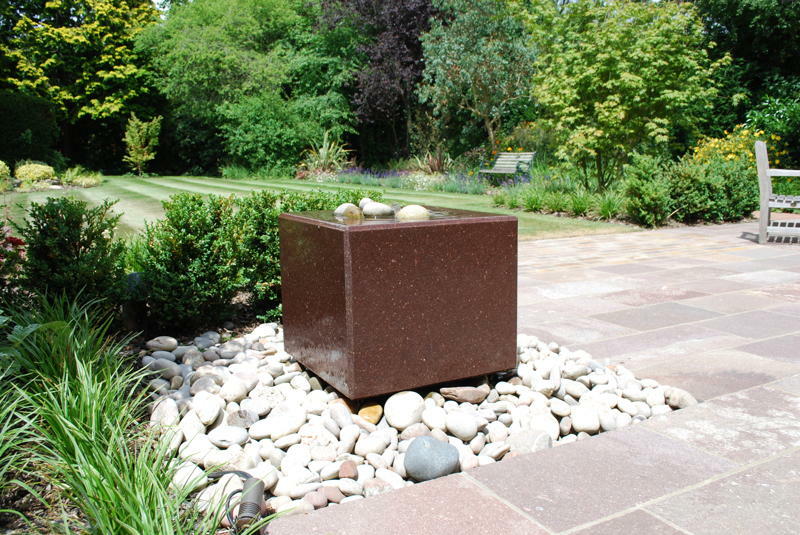 The patio was set off with a large drilled cube water feature (also in Porphyry) that was placed within Scottish pebbles. 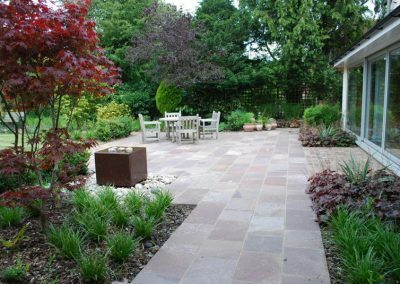 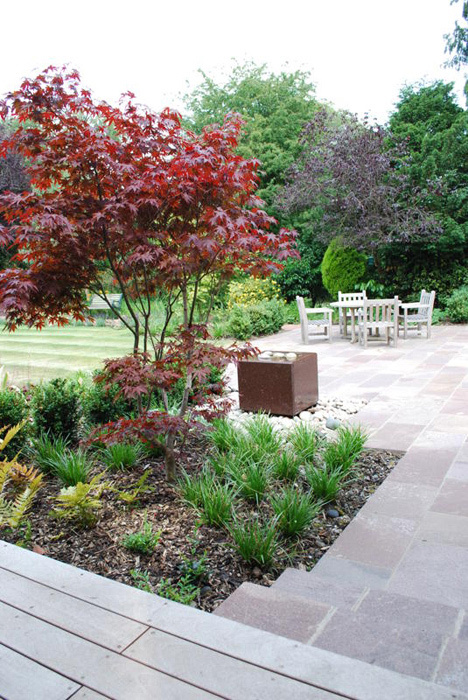 The planting has been designed to soften the large expanse of paving. 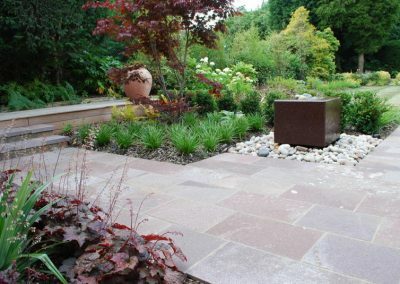 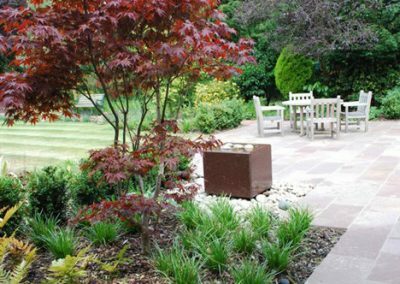 Main Materials: Porphyry slabs, setts & water feature.